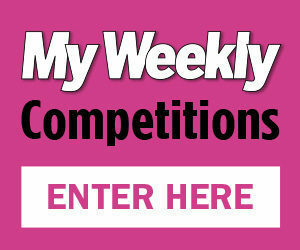 My Weekly is a magazine dedicated to women who live life to the full! Launched in 1910, My Weekly brings the best in celebrity news and the latest style in a vibrant magazine popular with woman everywhere. 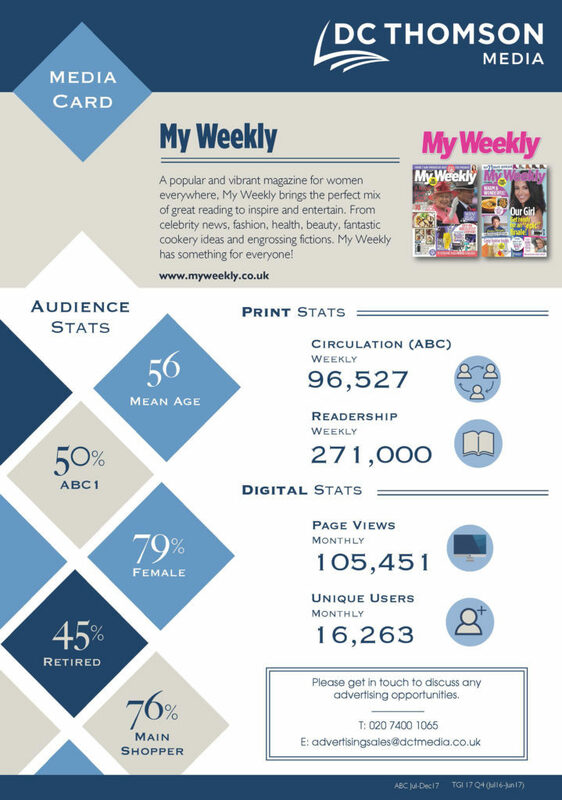 Continually changing with the times the magazine has celebrated many key events in women’s lives and never fails to bring fashion and beauty trends alongside recipes and engrossing fictions to a plethora of weekly readers. 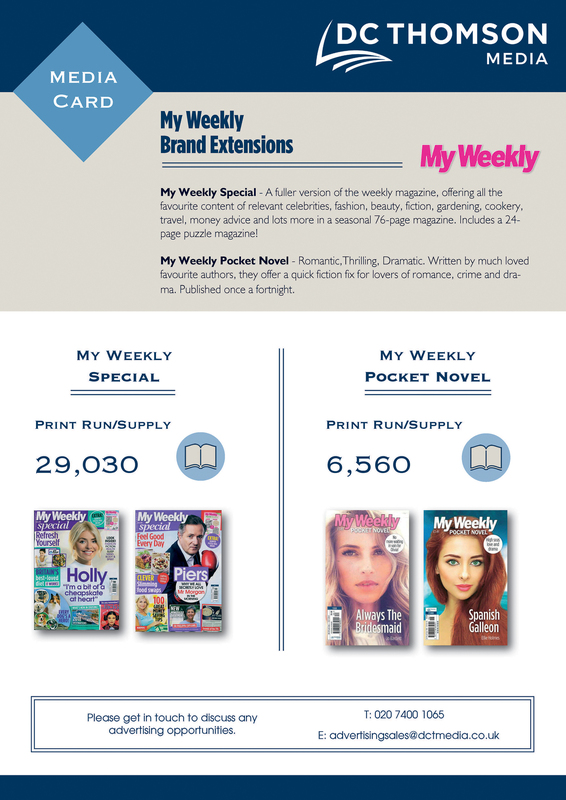 My Weekly offers several advertising opportunities in the magazine, online with MPU and leaderboard spaces and within the app.